Something that is really important to us here at Richardson Podiatry Associates is providing information to our patients so you can better understand common lower limb issues. Educated patients are not only better equipped to make decisions about their health care, they also recognize problems at earlier, more treatable stages and know how to take steps to reduce the risk of issues developing in the first place. One particular common lower limb injury that benefits from early recognition and prevention measures is shin splints. This condition is commonly experienced as sharp pain along the tibia (the larger of the two bones found in the lower leg). The medical term for this injury is medial tibial stress syndrome, which simply means that the bone closer to the middle of the body—the tibia—develops painful symptoms in response to excessive stress. In this condition, the tendons, muscles, and affected bone tissue have been overworked due to either intense or increased activity levels. Shin splints can be recognized by pain, soreness, and/or tenderness in the inner part of the lower leg. The pain can either be continuous or stop once activity has ceased. If you are running and the pain disappears, this does not mean that the condition has improved. In many instances, it will return and continuing to run could lead to greater damage. Conservative treatment approaches are often rather successful, but be sure to come see us if pain medication, ice, and rest are not providing sufficient relief. Medial tibial stress syndrome often responds well to treatment, but we know you would rather avoid the painful condition in the first place. To reduce your risk for this injury, be sure to choose supportive shoes, add strength training to your exercise plan (especially for the calf muscles), wear arch supports, and cross-train with low-impact activities. 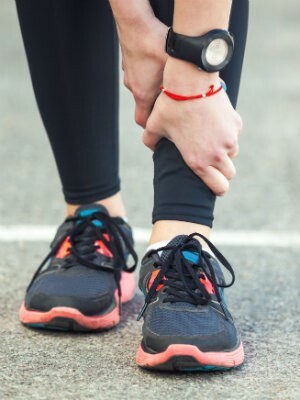 If you are already experiencing the painful symptoms that come from shin splints, then it is time to seek help at our Richardson, TX podiatric practice. We not only ensure that you receive effective treatment for an existing issue, we also provide information on how to prevent it from returning. Feel free to contact Richardson Podiatry Associates by calling (972) 690-5374 and having your questions answered by our friendly, knowledgeable staff, or simply schedule your appointment online today. ?How can I prevent shin splints?